Who says there has been - Kindness and courtesy by the owners, spacious rooms, furnished in a simple but functional way (comfy beds). Comfortable parking, in the square below. The property is within a prestigious building, with inner courtyard with fountain, a 2-minute walk from the cathedral square. Who says there has been - The Hotel is in the center of Catania (about 500 meters from the station and about 1 km from Piazza Duomo) and was recently renovated inside, the outside of the building rather would need renovation. 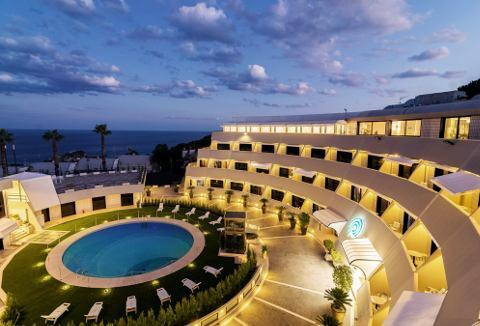 Spacious, welcoming and beautifully maintained, many with balconies or terraces, bathrooms clean and spacious shower. Friendly and helpful. Missing the lift. Basic breakfast. Good price. Who says there has been - A few steps from Piazza Duomo, the structure is in a Baroque-style building of 1600 (probably should be refreshed a little bit). comfortable rooms with comfortable beds, LCD TV and large enough bathroom. polite and friendly staff. Who says there has been - Centrally located, recently refurbished (no elevator, 4th floor). 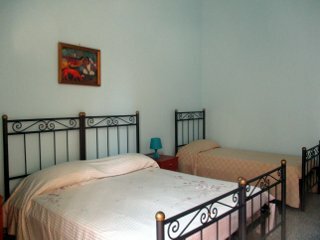 Comfortable and clean rooms, with ethnic style furnishings (air conditioning, tv and free wifi). Satisfying breakfast. Friendly and welcoming operators. Good value for money location. Who says there has been - In the center of Catania in the beautiful Baroque historical center, in a noble palace dating back to the early 1700's. Elegant, clean and welcoming rooms. Rich and varied breakfast. Family atmosphere and very good welcome from the managers. 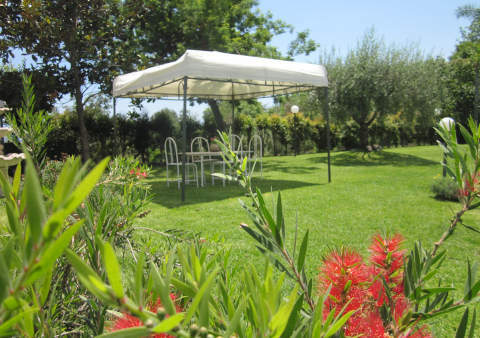 Who says there has been - At about 500 meters from the sea and 7 km from the historic center of Catania. 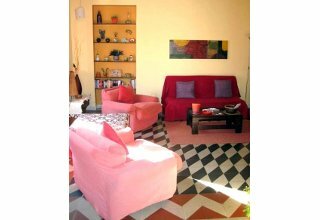 The bed and breakfast is on the ninth floor of a building, with beautiful sea / Etna view. 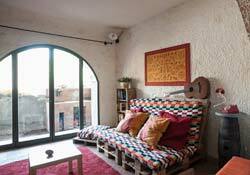 Rooms with balcony, modern, comfortable, equipped and clean. Good reception and availability by operators. Good varied and plentiful breakfast. Free parking on the same street or on adjacent streets. Who says there has been - Just off downtown Catania, in a hilly and quiet area. 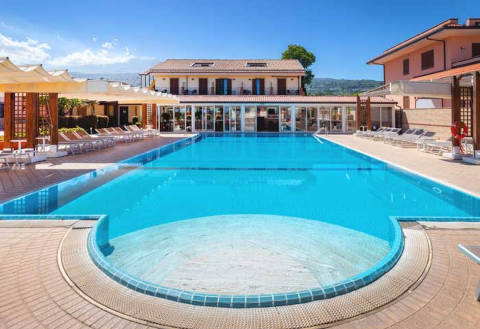 Elegant and quaint hotel, dating back to the 1800's, which combines classically and modernly. A part of the structure is classic (not brand new), another modern and recently restored (the Vdb Next). Clean, elegant, well appointed rooms (comfy beds) and every comfort. Beautiful breakfast room with wonderful views over Catania and the sea. Breakfast quite varied and of quality. Original (stone) restaurant with excellent dishes. 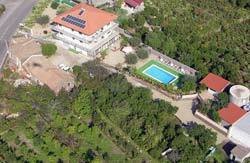 Swimming pool and solarium. Who says there has been - In the heart of Catania, friendly and friendly hosts. The house is new, spacious and bright and the rooms are clean. 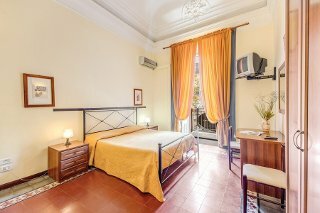 Who says there has been - In the historic center of Catania, in a quiet location, new rooms, spacious, well-appointed (modern elegant style) and clean. The owners are helpful and kind. Possibility of parking in the surrounding area. Breakfast is plentiful and good quality. 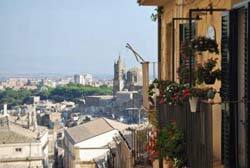 Who says there has been - The bed and breakfast is in central Catania, just 500 meters from Piazza Duomo. The rooms are cozy, simple, clean. 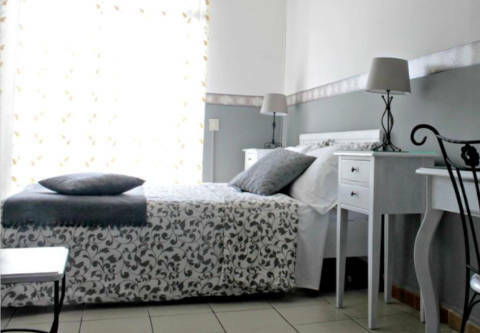 The rooms are well maintained, clean and equipped (air conditioning, tv, free wifi). Good assorted and abundant breakfast. Great cordiality and availability from the managers. Good value location price ratio. 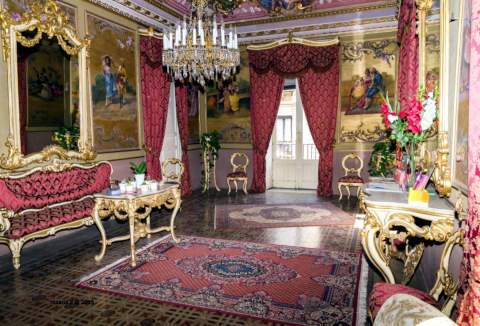 Who says there has been - The b&b is in the center of Catania, in an ancient palace, in the Etnea area. Hospitable and friendly hosts. Comfortable, clean, cozy and tastefully furnished rooms. Pricelist prices. There is no elevator, but there are not many stairs. Who says there has been - Old building (late 1800) without elevator (probably require a refreshed) in the central Piazza Stesicoro. 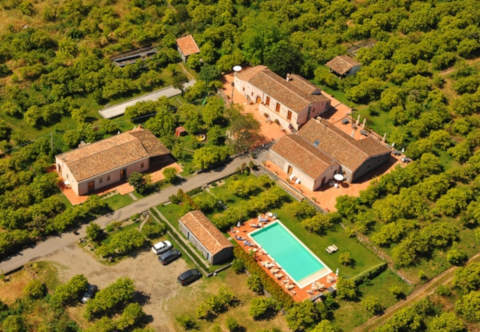 rooms (some with frescoed ceilings) satisfactorily clean, not very large, with simple furnishings in good condition. friendly and helpful owner. A stone's throw from excellent bakeries. 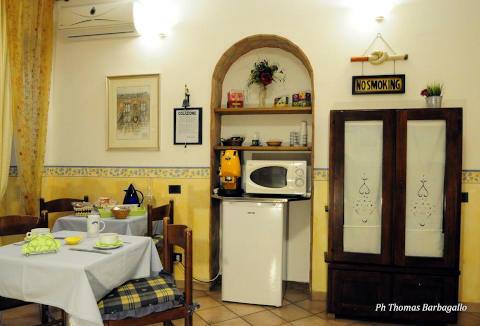 Who says there has been - A comfortable accommodation in the center of Catania, near Via Etna. The manager (Constantine) and the staff are nice and kind. The rooms are moderately spacious and clean, simple but nice furnishings. good breakfast (with fresh pastries). Parking at about 300 mt., Missing the lift (but only 2 floors). Who says there has been - In Catania in the center. The bed and breakfast would need a refurbishment. Quite comfortable rooms with simple furnishings (some with a balcony with a view). Satisfactory breakfast, even with handicrafts. 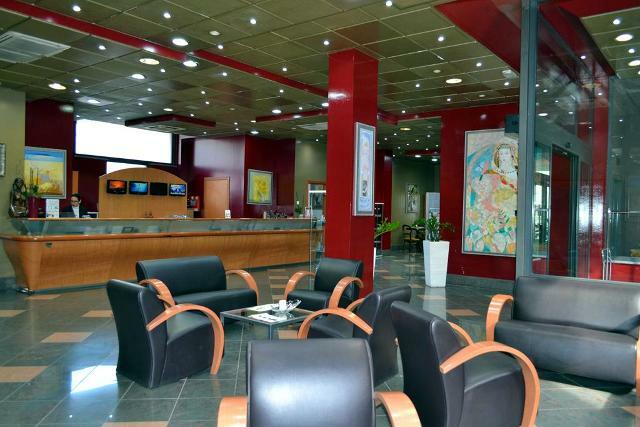 A large breakfast lounge (with lcd tv) is available. Good prices. Helpful and friendly managers. 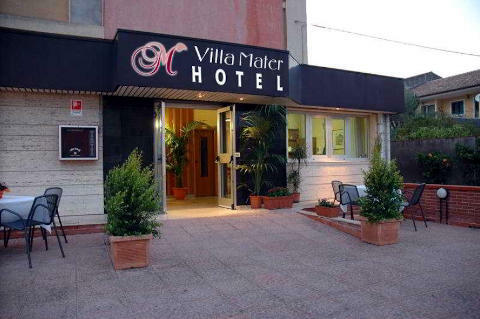 Who says there has been - Good hotel in the center of Catania, with excellent services. friendly and helpful staff. The rooms are spacious, clean and quiet. Great prices. Breakfast satisfactory with good assortment, including fresh produce. 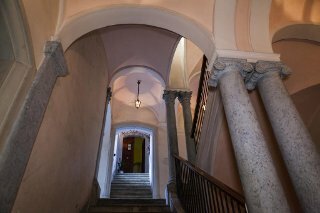 Who says there has been - In a Baroque building of the early twentieth century, recently restored, behind the Roman Greek Amphitheater. Small hotel run with friendly and helpful staff. 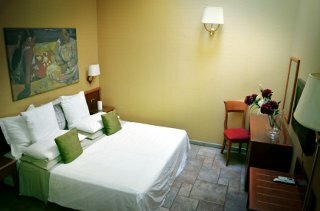 Comfortable rooms, some overlooking Via Etnea, clean and tastefully decorated. On the second floor (no elevator). Breakfast is served in the bar. Good value for money. 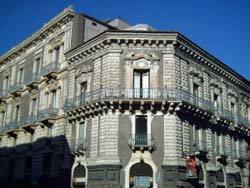 Who says there has been - Overlooking the main street of Catania (via Etnea), the hotel is in a historic building. 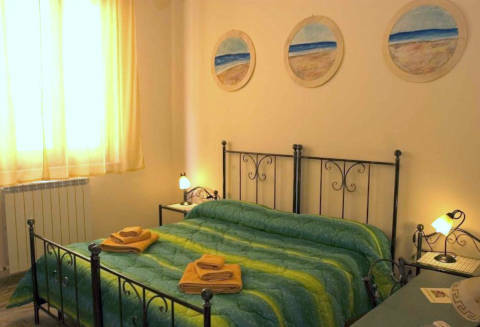 Large rooms (some with en suite), clean, elegant, many have frescoes on the floors and are furnished with antique and precious furnishings (air conditioning, 24-32 inch LCD TV). Comfortable bathrooms. Equipped kitchen and dining room available for guests. Easy parking. Frescoed central salon. Friendly and helpful owner. Good prices. 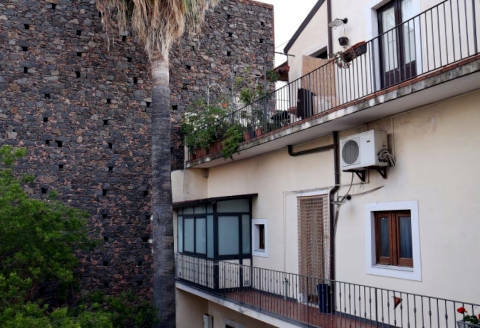 Who says there has been - In the center of Catania, at an angle with Via Etnea (one of the main streets), adjacent to Villa Bellini and 2 steps from the Duomo. 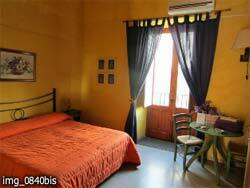 Rooms are discreet, fairly clean and comfortable (air conditioning, tv). Neat, functional bathrooms. Managers are available and welcoming. 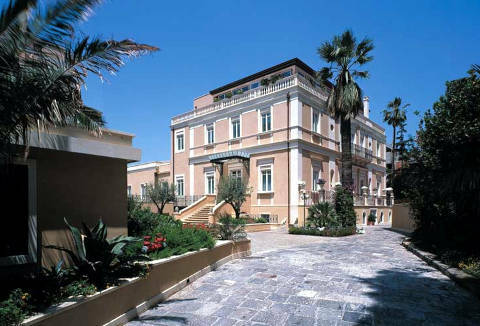 Who says there has been - The hotel is about 3 km from the center of Catania, in a quiet area. Clean rooms, small to medium and the bathrooms are very small. The whole structure would need to be renewed. Satisfactory breakfast. Good availability and the welcome from the staff. Good value for money.